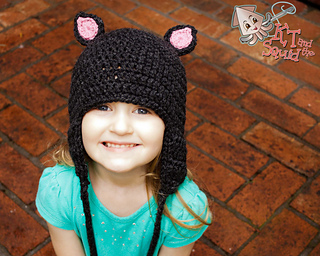 This hat is perfect for someone just learning how to crochet. 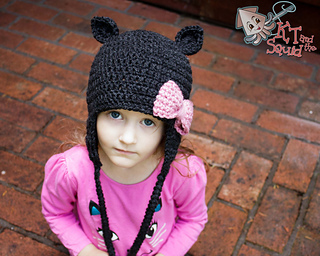 This pattern comes with many options. 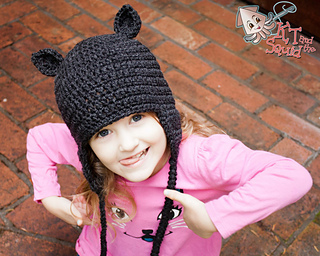 With this pattern you’ll get the pattern for the ear flap hat in all sizes, instructions for the cat and bear ears as well as instructions on how to make the contrasting color center and instructions for the bow.